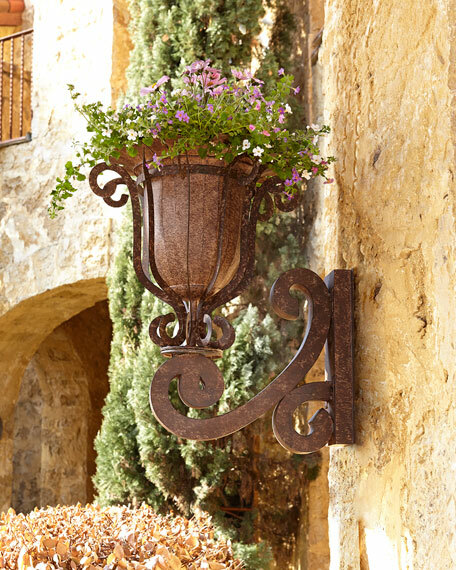 Bracket and planter handcrafted of tole metal. Outdoor safe in a protected area. Four holes in bracket for attaching to wall. For best results, drill hole in back of planter for proper drainage. 18"W x 22.25"D x 24"T.
Weight, 11 lbs. Boxed weight, approximately 21 lbs.